Mindfulness offers a host of benefits to employers and employees alike, reports mindfulness expert and coach Liz Hall. Not that long ago, meditation was seen widely as the preserve of hippies and saffron-clad monks, unsuited for the business world. Nowadays, a growing number of businesses are recognising what mindfulness has to offer, including Transport for London (TfL), Google, GlaxoSmithKline, the Home Office, the Cabinet Office, KPMG, and PricewaterhouseCoopers. improves psychological conditions such as anxiety, insomnia, phobias and eating disorders. Interest in applying mindfulness within the workplace is rising rapidly. In February 2012, hundreds braved the snow to attend the UK’s first Mindfulness at Work conference in Cambridge and many delegates are expected at the Mindfulness4Scotland conference in Edinburgh on 10 March 2013, which will explore practical applications and benefits of mindfulness at work. The Mindfulness in the Workplace and Mindful Leadership LinkedIn group is growing fast – it has more than 2,000 members. Mindfulness has roots in the Buddhist belief system, although there is a tradition of contemplation within most religions and belief systems, including Christianity. However, what we are now seeing is a widespread secularisation of the approach, thanks to the work of people such as Jon Kabat-Zinn, founder of the Center for Mindfulness in Medicine, Health Care, and Society at the University of Massachusetts medical school. Kabat-Zinn’s mindfulness-based stress reduction (MBSR) programme has been widely adapted and implemented worldwide, along with a variation referred to as mindfulness-based cognitive therapy (MBCT) that was developed at the Oxford Mindfulness Centre. The National Institute of Health and Clinical Excellence’s recommendation of MBCT as the go-to therapy for recurrent depression has also contributed to mindfulness extending beyond the spiritual arena. Kabat-Zinn defines mindfulness as “paying attention in the present moment, non-judgmentally”. Mindfulness is a way to train the mind, but also includes paying attention to the body and the world around us. It helps us recognise that we are not a slave to our thoughts and that we can choose how we respond, two strands highlighted by the Mental Health Foundation (MHF). Interest in mindfulness is also growing because people are seeking ways to cope with the challenges, complexities and ambiguity of our times. Many are not coping – mental health problems are on the rise, with stress topping the league of reasons for long-term sickness absence, according to research by the Chartered Institute of Personnel and Development (2011). People are turning to mindfulness as an antidote to all the doing, thinking and struggling, and discovering it offers much more besides. Benefits include improvements to physical and mental health, with an increased ability to be resilient and manage stress. For employers, this translates into higher productivity and reduced sickness absence levels, among other things. TfL, for example, has seen the number of days taken off because of stress, anxiety and depression fall by 71% since introducing employees to mindfulness (see case study). Other benefits include heightened emotional intelligence, improved decision-making and strategic-thinking abilities, a heightened ability to focus and enhanced creativity. Some remain sceptical and believe that mindfulness is just the latest fad, while others are unaware of the benefits or fear being labelled as unprofessional. As a business journalist and coach, I, too, feared the latter and remained a “closet meditator” for years. However, I soon discovered that many of my clients found mindfulness very helpful. I lay to rest any residual concerns about mixing mindfulness with business after researching my book Mindful Coaching. My research included a literature review of more than 70 research papers and 80 books, as well as interviews with employers, academics, coaches, trainers, leaders, and mindfulness and neuroscience experts. 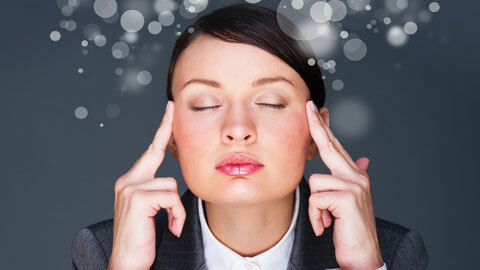 I also carried out a survey of 156 coaches – the Mindfulness in coaching 2012 survey. There is plenty of evidence, including from the mental health arena and the field of neuroscience, showing how mindfulness can help reduce stress. Developing these skills help people become more engaged in their work, more energised and less anxious, and they suffer from fewer symptoms of stress, according to the MHF. A study of HR managers by the University of Washington in 2012 says that mindfulness helps us experience less stress and increase focus when multitasking. Numerous studies also suggest that mindfulness makes a big difference to our resilience levels. Pick an activity that you do most days or every day, such as eating breakfast or travelling to work. Choose something you have to do anyway, but set the intention to be mindful when doing this activity. Bringing your attention to the present moment – not dwelling in the past or planning for the future. Instead, being open to and curious about what emerges. Really explore what you find. Remember to be compassionate towards yourself and others. Your mind will wander off – that’s fine, that’s what minds do. When that happens, gently bring your thoughts back to whatever it is you’re doing and congratulate yourself for noticing your mind has wandered. You may find you come to relish this time, seeing it as pressing the pause button. You may find you notice more about whatever it is you’re engaged in. Or you may find you encounter “unpleasant” feelings such as boredom or sadness. Whatever comes up, just notice it, explore it, turn towards it and gently let go, without judgment, but with curiosity and compassion. Practising mindfulness helps us develop the “attentional control” that is important in resilience and high performance, according to research by David Marchant, a senior lecturer in sport and exercise psychology at Edge Hill University in Scotland. According to Marchant, although attentional control is well understood and well researched in sports, it is only recently that it has been applied in the working world. Another study by Kabat-Zinn found that people who had completed an eight-week MBSR programme scored highly on a number of resilient traits. Participants felt happier, more energised and less stressed. They felt their lives were more meaningful, that they had more control over their lives and were more likely to see challenges as opportunities rather than threats. One of the reasons mindfulness helps people become more resilient, less stressed and more creative is because it brings us into “approach mode”. When we believe we are under threat, we switch to “avoidance mode” – think running away from a sabre-toothed tiger. But we can often remain stuck there even though we are no longer under a real threat, such as when we have the sensation that an avalanche of emails is as dangerous as the sabre-toothed tiger. Mindfulness helps people cope with change and uncertainty, avoid rigid or scattered thinking and become more comfortable with not knowing. It improves a person’s ability to respond rather than react and to think more clearly and strategically. Moving into “approach state” improves confidence and the ability to trust our own decisions, as well as noticing more data. And those who meditate are more able to make rational rather than emotionally charged decisions, according to research by Kirk et al. Research by the Institute of Mindful Leadership found that for 93% of leaders surveyed, mindfulness training helped them create space for innovation. Some 89% said it enhanced their ability to listen to themselves and others, and nearly 70% said it helped them think strategically. Mindfulness helps us make decisions more quickly as well as more rationally, through helping us to let go of our evaluations, according to research by Langer, who also underlines how mindfulness helps us be more creative. Meditation promotes divergent creative-style thinking, studies such as the one by Colzato et al suggest. It also improves insight into problem solving, according to research by Ostafin and Kassman. Mindfulness helps us to be less self-critical and more curious, to notice new things and give up preconceived mindsets, thus adding fuel to the creativity tank. It helps employees act more ethically and enhances their emotional intelligence – in particular, self-awareness, self-management and social awareness. It does this through elements including: “checking in” to our emotions, thoughts and bodily sensations on a regular basis; practising attentional control; improving the ability to step back and think and act more rationally; and by enhancing compassion. One study by business school INSEAD showed that being exposed to mindfulness training and coaching encourages managers and leaders to behave in a more socially responsible way. Mindfulness is at the heart of a number of popular leadership models, including Richard Boyatzis and Annie McKee’s resonant leadership, James Scouller’s three levels of leadership, Otto Scharmer’s theory U and Lee and Roberts’ authentic leadership model. using it to underpin coaching practice and weaving it into coaching interventions. Of the coaches responding to the Mindfulness in coaching 2012 survey: 83% reported that they use mindfulness with their clients; 74% shared mindfulness practices with clients to carry out at home; 67% used it themselves in the session; and 64% invited clients to do mindfulness practices with coaching sessions. Some 76% had no concerns about using mindfulness with clients. They use mindfulness to help clients: become more self-aware (70%); be calmer or less anxious (59%); manage stress (55%); be more centred (55%); manage reactions or responses (51%); gain clarity (47%); improve their wellbeing (45%); be more emotionally intelligent (39%); and see the bigger picture (36%), among other reasons. Practising mindfulness helps coaches personally to: live more in the moment (74%); become more self-aware (73%); manage or prevent stress (67%); and be more available to their clients (65%). There is often resistance to mindfulness from individuals because it can be associated with “doing nothing”. As Langer says, we often see inaction as a lack of a certain action rather than reframing our inaction as a choice to go down another route – one of relaxing, refreshing, renewing, reflecting, or even actively “doing nothing”. Sell the benefits and potential impact on the bottom line. Highlight the research backing up mindfulness. Know your audience and don’t feel obliged to call it mindfulness – for example, you may wish to talk about awareness or presence instead. Be realistic about how much time people will be able to or want to set aside for practice. Set aside a room where employees can meditate or go to take time out undisturbed. Offer regular mindfulness training programmes (whatever you call them). Include mindfulness within management and leadership development programmes either explicitly or, for example, within a module on emotional intelligence or resilience. Sometimes people fear becoming disengaged and not enjoying life to the full. But mindfulness is about living life joyfully and more completely. It helps us “just be” and develop a new way of being, but it also helps us “do” more productively. Often, it is the label that is the problem. It can help to talk instead about stress management, self-awareness, managing emotions or emotional intelligence. When Google first ran mindfulness training as an MBSR offer, it did not manage to attract many participants because stress was seen as a badge of honour. However, when it re-branded its Search Inside Yourself programme as a way to develop emotional intelligence, the number of participants suddenly grew. Many of its engineers were already aware of their deficits in this area. There will be different themes that appeal or have relevance depending on the group targeted. If people are going to be bothered to practice, the relevance must be flagged up – and practice is where it is at. Liz Hall is editor of Coaching at Work, a trained coach, a mindfulness trainer and workshop facilitator and author of Mindful Coaching. To take advantage of a 20% discount when ordering Mindful Coaching from http://www.koganpage.com use the code MINDFUL20 at the checkout. Boyatzis R, McKee A (2005). Resonant Leadership: Renewing Yourself and Connecting with Others Through Mindfulness, Hope, and Compassion. Harvard Business School Publishing; Boston. Chartered Institute for Personnel and Development and Simplyhealth (2011). Absence management survey. Collins J (2001). Good to Great: Why some Companies Make the Leap and Others Don’t. Harper Collins; New York. Colzato LS et al (2012). “Meditate to create: The impact of focused-attention and open-monitoring training on convergent and divergent thinking. Frontiers in Psychology 3; p.116. Heiftetz R (1994). Leadership Without Easy Answers. Harvard University Press; Cambridge. Jha AP et al (2010). “Examining the protective effects of mindfulness training on working memory capacity and affective experience”. Emotion; vol.10, issue 1, pp.54-64. Kabat-Zinn J (1994). Wherever You Go, There You Are: Mindfulness Meditation for Everyday Life. Piatkus; London. Kabat-Zinn J (1991). Full Catastrophe Living: How to cope with Stress, Pain and Illness Using Mindfulness Meditation. Piatkus; London. Langer E (2005). On Becoming an Artist: Reinventing Yourself through Mindful Creativity. Ballantine Books; New York. Langer E et al (2000). Cited in On Becoming an Artist: Reinventing Yourself through Mindful Creativity. Harvard University. Lee G (2003). Leadership Coaching: From Personal Insight to Organisational Performance. Chartered Institute of Personnel and Development; London. Mental Health Foundation (2010). “Be mindful”. Ostafin BD, Kassman KT (2012). “Stepping out of history: mindfulness improves insight problem solving”. Conscious Cognition; vol.21, issue 2. Scouller J (2011). The Three Levels of Leadership: How to Develop Your Leadership Presence, Know-how and Skill. Management Books 2000; Oxford. Sharmer O (2007). Theory U: Leading from the Future as it Emerges. Society for Organisational Learning; Cambridge. Hall L (2013). Mindful Coaching. Kogan Page; London. Siegel DJ (2007). “The mindful brain: Reflection and attunement in the cultivation of well-being”. Infant Mental Health Journal; vol.22, pp.67-94. Siegel D (2010). The Mindful Therapist: A Clinician’s Guide to Mindsight and Neural Integration. WW Norton & Company; New York. Siegel D (2010). Mindsight: The New Science of Personal Transformation. Bantam Books; New York. Silsbee D (2010). Presence-Based Coaching; Cultivating Self-Generative Leaders Through Mind, Body and Heart. Jossey-Bass; San Francisco. Silsbee D (2010). The Mindful Coach: Seven Roles for Facilitating Leader Development (2nd edition). Jossey-Bass; San Francisco. Spence GB, Cavanagh MJ, Grant AM (2008). “The integration of mindfulness training and health coaching: An exploratory study”. Coaching: An International Journal of Theory, Research and Practice; vol.1, issue 2, pp.1-19. Thich NH (1991). Peace is Every Step: The Path of Mindfulness in Everyday Life. Bantam Books; New York. Williams M, Penman D (2011). Mindfulness: A Practical Guide to Finding Peace in a Frantic World. Piatkus; London. Gaia House A retreat centre in Devon. Liz Hall Coaching Includes articles, resources and information on mindfulness training and coaching. Mental Health Foundation Mental health research, policy and service improvement charity which champions mindfulness. Offers an online mindfulness course. Bemindful.co.uk Mental Health Foundation website focusing on mindfulness. Includes information on finding a mindfulness course near you (UK only). Mindful.org A website with resources including applications and mindfulness practices. Mindfulnet.org A website with lots of information on mindfulness, including its application in the workplace. Mindfulness Research Guide A website offering information on the scientific study of mindfulness and publisher of Mindfulness Research Monthly. Mindfulness-works.com Mindfulness trainer Michael Chaskalson’s website. Plum Village This is where Vietnamese monk Thich Nhat Hanh is based. Holds various retreats each year. The Mindfulness Exchange An offshoot of the Oxford Mindfulness Centre, with a focus on mindfulness in the workplace. Transport for London (TfL) introduced its stress management course following an internal review in 2003, which revealed mental health to be one of the top two health issues affecting employees. The company has seen improvements in relating to others and a reduction in absenteeism caused by stress, anxiety and depression since introducing the programme. 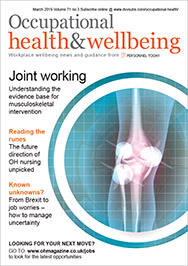 Absenteeism caused by stress, anxiety and depression dropped by 71%; 84% of participants say they “are relating to others better”; 82% have increased the amount of exercise they do; 77% have improved their diet or tackled drinking and/or smoking problems; and 54% have improved their sleeping patterns. TfL teaches other techniques too, including how to interrupt the stress cycle by taking control of physical symptoms. The organisation presented on its programme at the NHS’s quarterly health, work and wellbeing forum on 13 June 2012 and is also speaking at the Mindfulness4Scotland conference in March. It’s such a relief to see mindfulness and coaching becoming main stream and not only acceptable, but encouraged by GPs and employers. I’ve used it in my own practice for years to great effect, even with a client who was so far into a depression cycle they were suicidal. I also refer people to Tom Evans’ course Managing your Time with Mindfulness as it creates enormous change in easy bite size doses and includes some glorious guided visualisations and meditations – as it’s one of the Daily Om courses, it’s available on a pay what you can afford basis. A real coup!